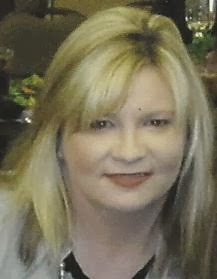 Please help me welcome today's guest blogger, Michelle Cooper. 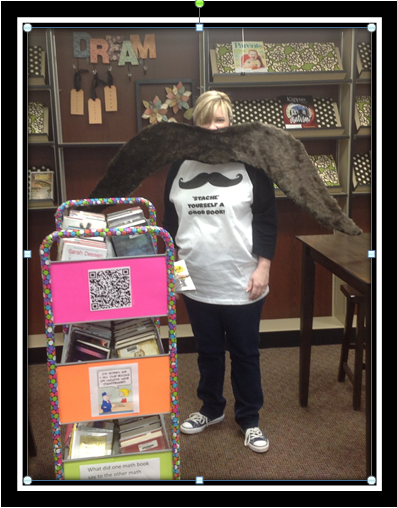 Michelle, a librarian at Henderson Middle School in Henderson, Texas, is passionate about helping young people succeed by promoting information literacy, creativity, research, and problem solving. She is an Outstanding Texas Educator, Co-founder of #TXLchat, Texas Accelerated Library Leader (TALL Texan) 2013, Nerdy Book Club Blogger, guest speaker at the School Library Journal online event The Digital Shift: Reinventing Libraries, and a frequent presenter for education associations. For more information about Michelle (aka The Library Lady) visit her blog. Librarian: The Best Job in the World! The only experience better than reading a good book is sharing that book with a young person. I am fortunate enough to have that opportunity every single day. Most days students rush in and out of the library finishing up assignments, researching topics of interest and searching for a good read. One day, I noticed a change. Students began getting busier and busier. I saw them check out books less often. Students told me repeatedly, “Mrs. Cooper, I do not have time to come to the library!” Listening to them tell me why they could not spend time reading made my heart hurt. I knew something must be done. So, I decided to bring the library to the students. 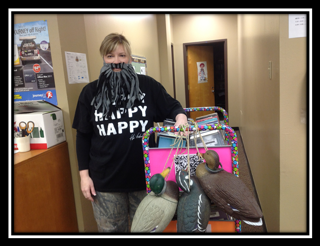 On Fridays, at lunch, I dress up in an outlandish costume and push a cart of books to the cafeteria. 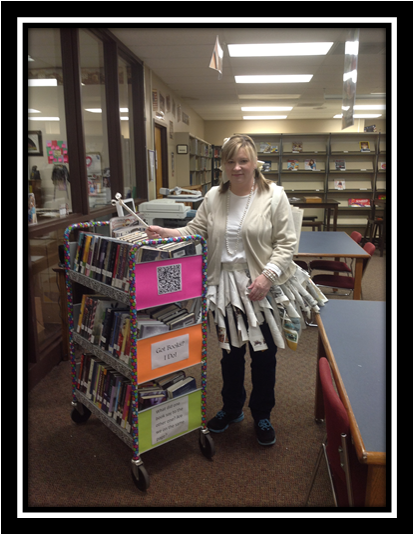 I check the books out using the library app we have at Henderson ISD. I decided to dress up, so the students would not be able to miss me in the busy cafeteria. Dressing up for me really has two purposes. My costumes make everyone laugh and spread cheer. Secondly, it is a conversation starter with the students. I love getting to know our young people and helping them with their studies. The cafeteria is a relaxed social setting, and the students feel free to share all their great ideas and dreams with me. When students need academic help, they now see the librarian as their first resource. In addition to all the fun I have had, book circulation increased nineteen percent as a result of bringing books to the students. I became a teacher and a librarian because I truly want to make a difference in the lives of our students. I am passionate about helping young people succeed. The students are the reason I love my job. They have great ideas to share, and I learn so much from them. I could not imagine having a different occupation. I am blessed to be a librarian at Henderson ISD. 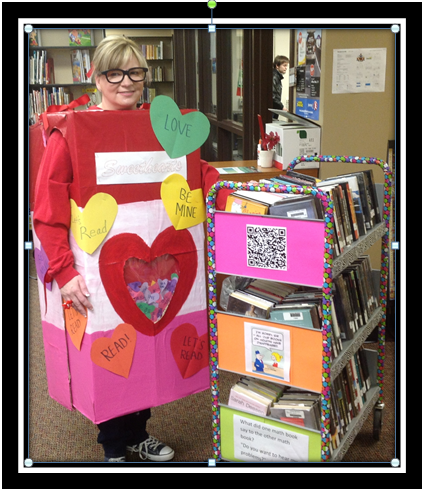 Thank you Michelle for focusing your passion for sharing books with students in such a creative way! Such great costumes!! And what a great way to connect with your students! Michelle, you are AWESOME! How cool/special that you take the time to bring the books to them (and in costume, no less). I guarantee that you will be remembered by the students the rest of their lives, not only for the reading material you brought them, but for the enthusiasm you do it with . Well-done, you!